It is not possible to prevent your car from facing the elements in most case, but you can protect it against its bad effects. Whether it is below freezing or above 90 degrees outside, some parts of your vehicle will be vulnerable. While some slight damages are basically unavoidable, it does not mean you shouldn't take advantage of protection measures to diminish the potential harm on your automobile. An outdoor tent canopy might be a solution to this problem! Before we get started with tent canopies, let's see what are the most dangerous elements and how they affect your car. While the sunshine makes most people happy, it causes some poor outcomes on cars. Thus, the extended sun exposure has a bad influence on your car's paint job and it may cause it bubble, peel, or chip on the car surface. Not only does UV rays impact paint and mechanicals on your car, but it can also harm your car's interior! 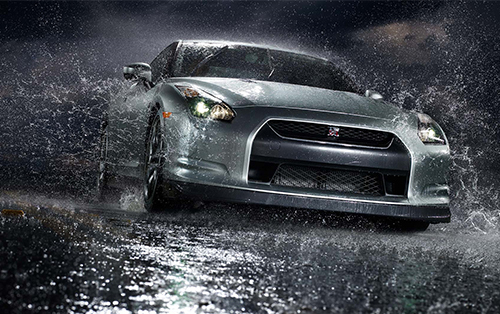 You might think that a nice rainfall is going to wash off your car. Wrong! It will just make your car dirtier. That's because rain contains various pollutants and elements. 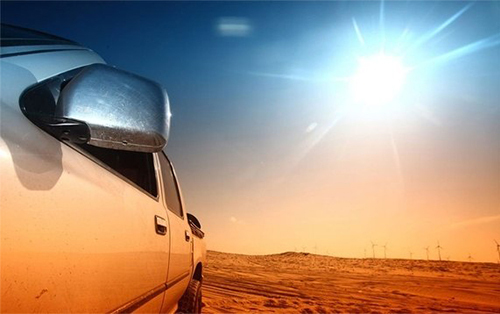 All of the bad stuff will leave over on your car when the water evaporates. This may cause large damages to your car's finish, especially if the raindrops contain a lot of pollutants - so-called acid rain. This can develop the wear permanently, and the scars caused by the acid cannot be polished off. Besides damage to the car exterior, the water could reach out to your engine, causing severe problems to your car's electrical system. Snow can cause the similar exterior damages as rain in terms of the car's finish. 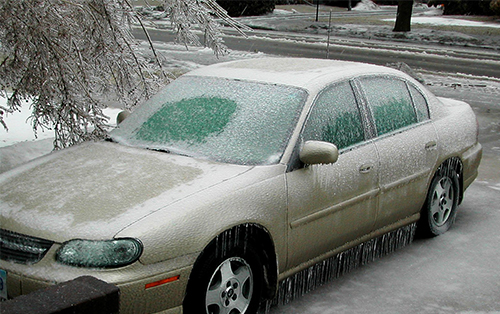 Hard ice is even more dangerous because it causes particular body damage on the cars. The melting snow often results in rust, and if you don't treat rust, it's going to make some severe damages such as cracks and holes on the car's body. 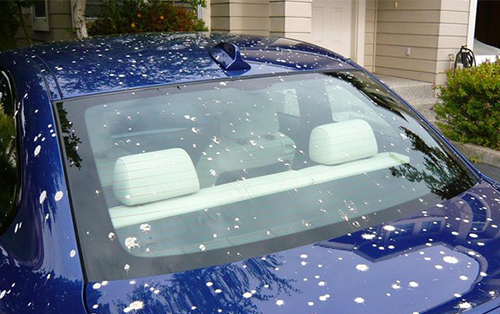 In addition to weather elements, birds droppings and debris also have negative effects on your car. Bird droppings are mixed with uric acid that engraves a paint job on your car. On the other side, debris from the trees (such as sap, branches, berries, and nuts) also damage the car's surface. Apart from above-mentioned elements, there are also many other hazards like hail, strong wind, dust, dents, and so on. Luckily, you can prevent these damages by storing your vehicle under an outdoor tent. There are so different types of outdoor tents on the market, including large outdoor tent and outdoor event tent. Most of these tents come with a metal construction, but there are also inflatable outdoor tents which are easier to set up and install. While the outdoor tents and canopies offer a good protection for your car, there's one big problem with them. You can't carry them with you anywhere you go since they are bulky and take up much space. Is there an alternative to these outdoor tents? Yes, it's the portable car tent. This automatic car tent acts as a portable umbrella, protecting your vehicle from all kinds of elements. During summers, this innovative outdoor canopy tent can be of immense use for your car. As it absorbs the sunlight and keeps the car cool. The majority of the heat is dissipated because of the shade. Internal temperature will be as low as 36 degrees. Heat is not the only thing that this umbrella provides protection against. It can also help your car to always look clean and shiny because it also provides protection against snow, dust, debris, and bird deposits. The standard issue size of the umbrella is 6.89 X 13.12ft (2100mm X 3500mm). The good thing here is that this size is not fixed and it can be resized according to the client's need. The umbrella also comes in four different colors which give the customer a variety of options to choose from. The umbrella is damage resistant as it is made up of scratch proof material. The main component that goes into the production of this umbrella is TPU (thermoplastic polyurethane) which is tough and durable. This component is also extremely light weight which helps the umbrella keep a weight of around 13Ib. It ensures that the car umbrella can be easily carried and stored anywhere you go.